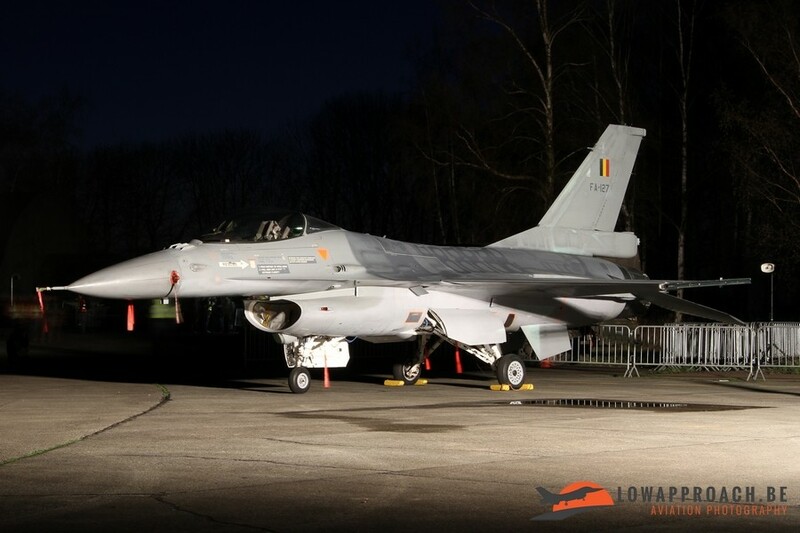 On April 5th, 2016 the Belgian Air Force organized their first Sunset Photoshoot at Beauvechain Air Force Base. 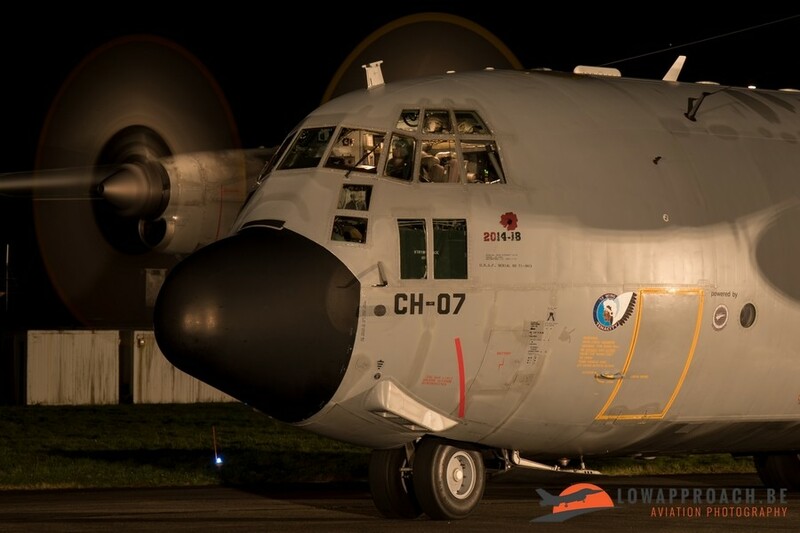 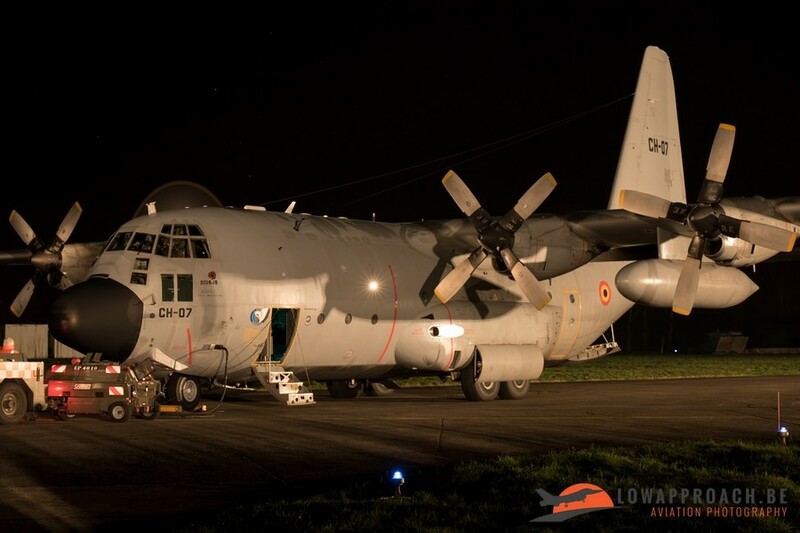 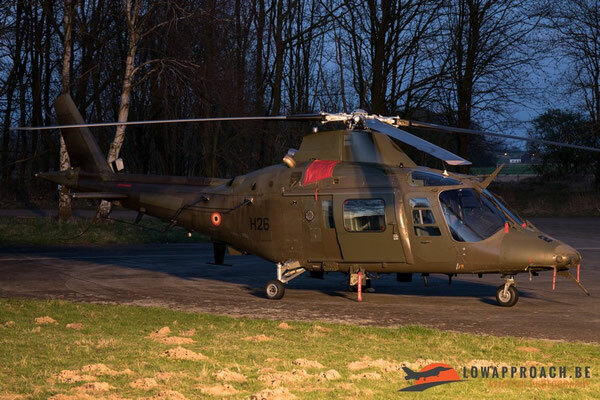 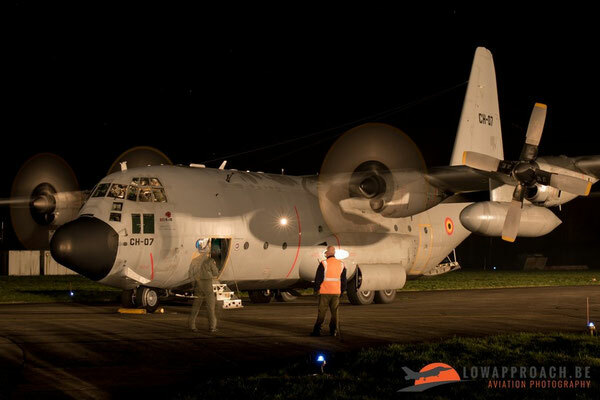 A group of about 400 spotters were given the opportunity to photograph several aircraft and helicopters currently in service in the Belgian Armed Forces in continuously fading light conditions. 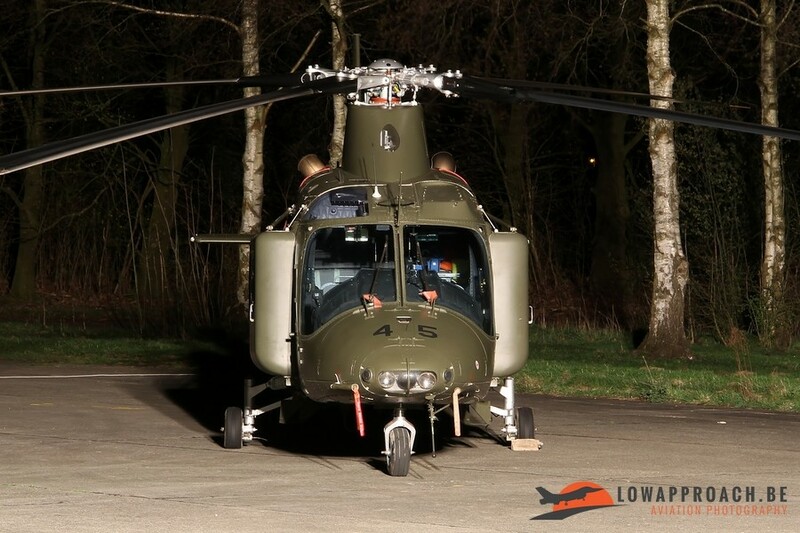 The Beauvechain based No 1 Wing was the largest provider of equipment with examples of all based aircraft present. 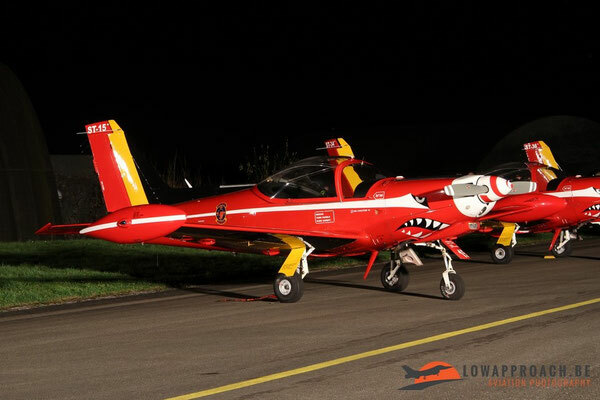 Most numerous aircraft on display was the complete Red Devils aerobatics team with their Siai-Marchetti SF260s trainers in their distinctive red livery. 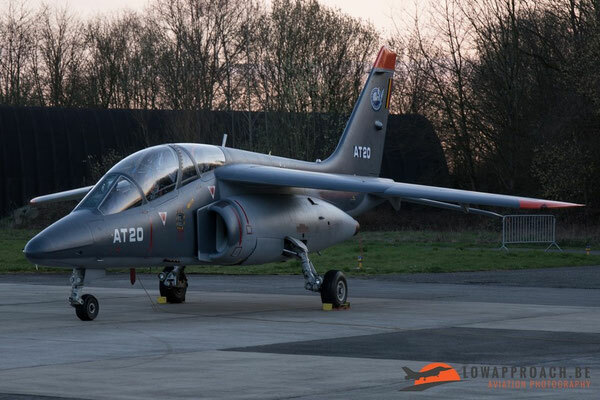 An rarely seen aircraft nowadays is the Dassault-Breguet Alpha Jet 1B+. This advanced trainer is currently based at Cazaux in France, but a small number of aircraft are still at Beauvechain, mainly to undergo their regular deep maintenance. Since 2010 the Belgian Air Force helicopter fleet is also centralized at Beauvechain. 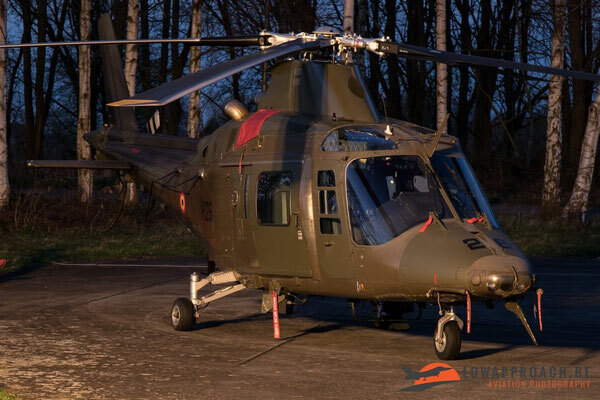 In this year Agusta A109s were transferred from the Army to Air Force and moved from Brasschaat and Bierset to their new homebase. 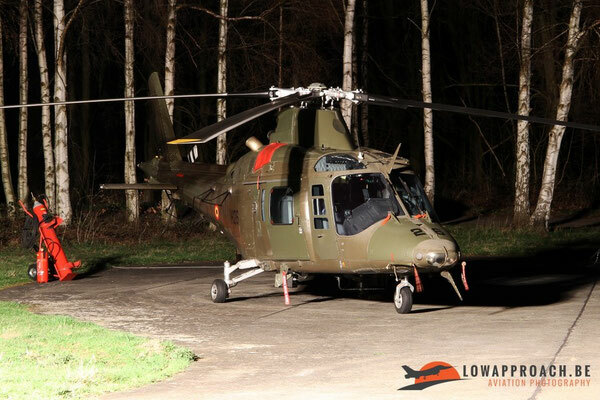 During the photoshoot two variants of the A109 were shown, the A109UH(L)-Tpt transport version and the A109UH(L)-AE Medevac version. The number of operational aircraft is decreasing rapidly, especially after the start of deliveries of 4 NH90TTH Tactical Transport Helicopter in late 2012. 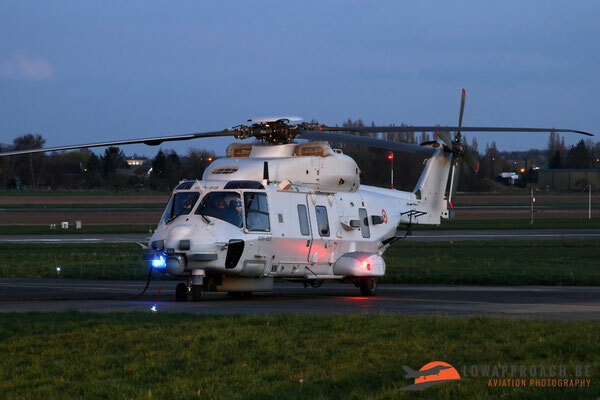 The complete order for the Airbus Helicopters NH90 for the Belgian Air Forces comprised 8 examples. 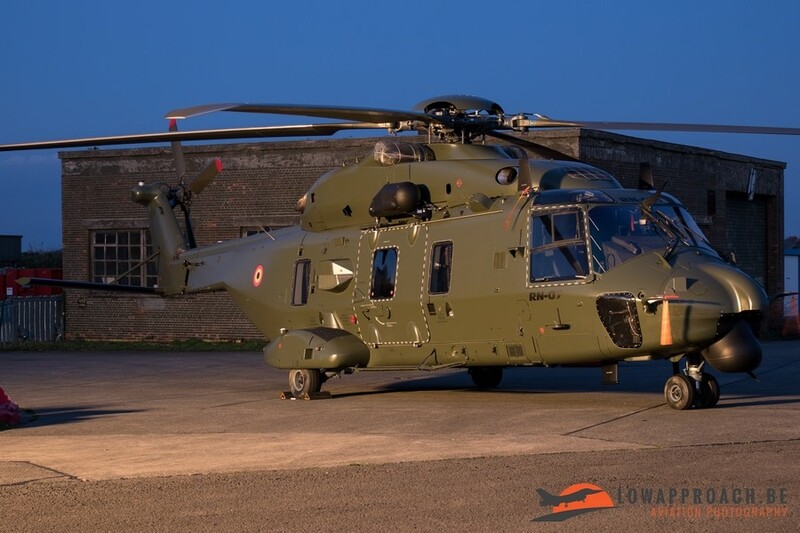 The batch also includes 4 examples of the NH90NFH Naval variant, which is gradually replacing the Westland Sea King Mk48 Search-and-Rescue helicopters and the Sud Aviation Alouette III ship-based observation helicopter. 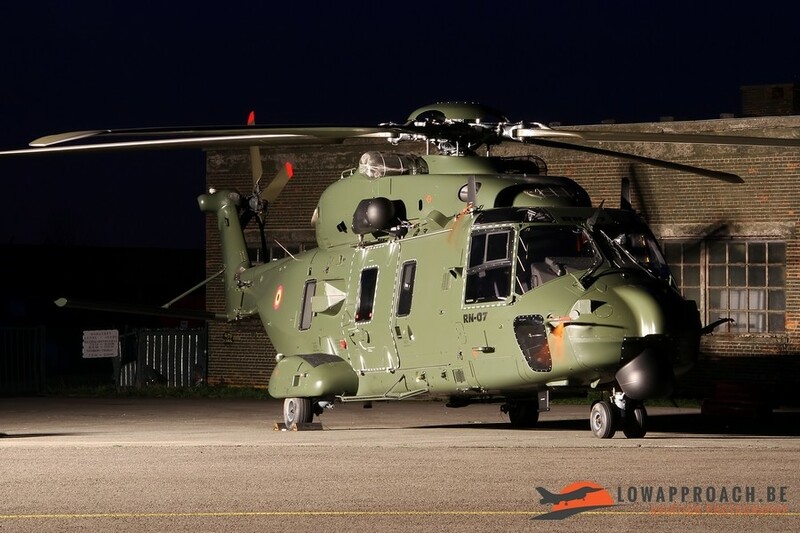 The delivery of the NH90NFHs to Koksijde-based 40 Squadron also introduced a change in command structure for Koksijde, since mid-2014 it is administratively attached to No 1 Wing at Beauvechain. 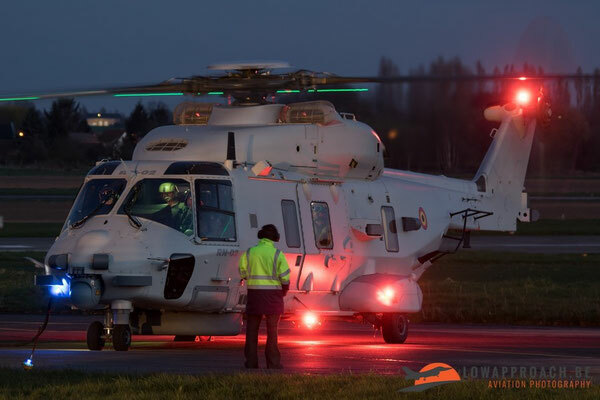 All major maintenance to the NH90NFH is also performed at Beauvechain. 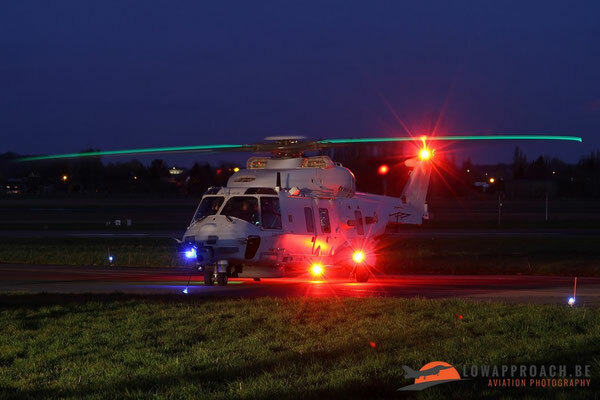 During the photoshoot we all could witness the night departure of the attending NH90NFH to Koksijde. 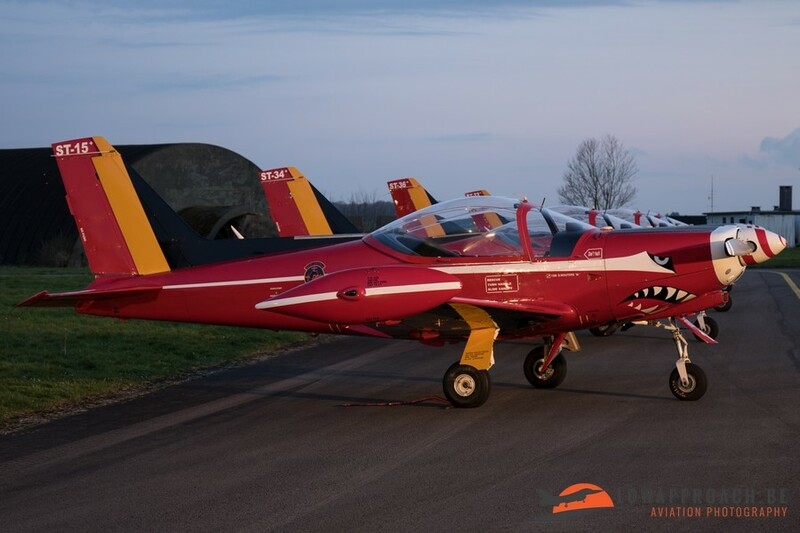 Not only Beauvechain aircraft were present during this event. 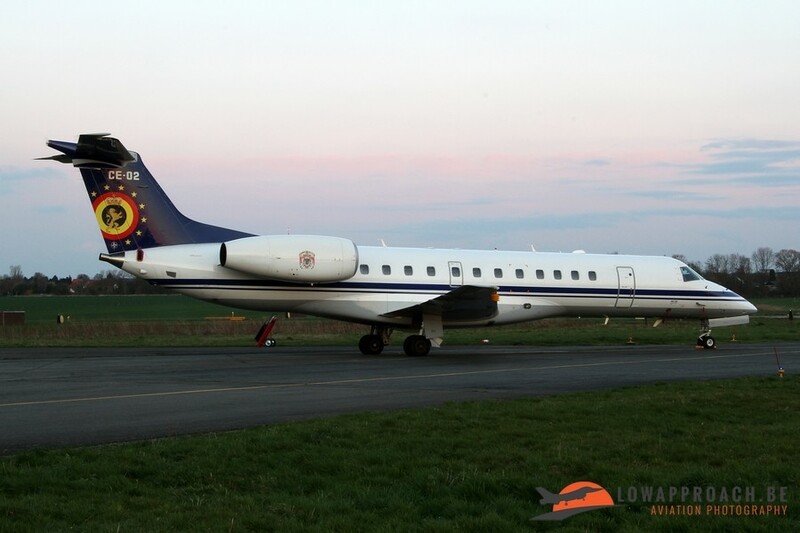 Also examples from the General Dynamics F16 Fighting Falcon and two aircraft, a Lockheed C130H Hercules and an Embraer ERJ135 from 15 Transport Wing based at Melsbroek attended. 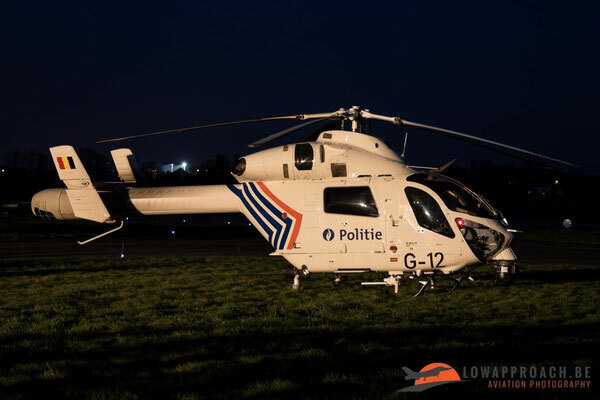 Another visitor from Melsbroek was a MD Helicopters MD900 from the Federal Police. 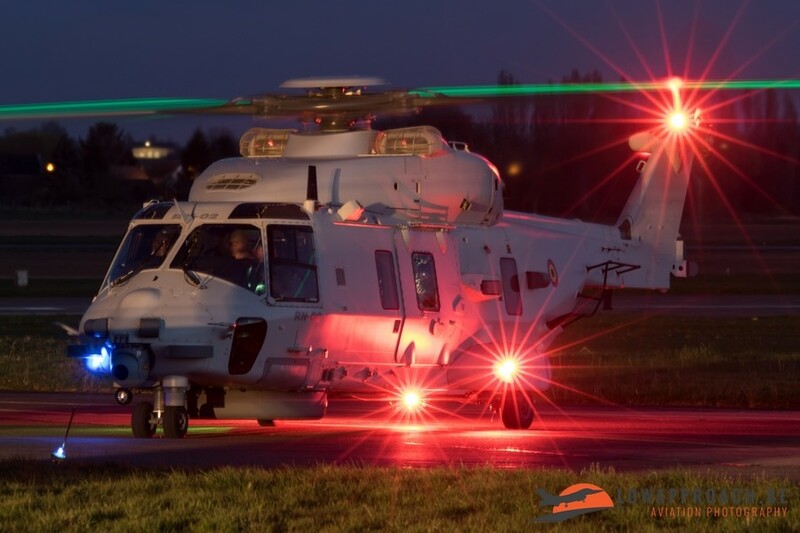 This sunset photoshoot was the first event of this kind organized in Belgium, at least with this amount of attending photographers. 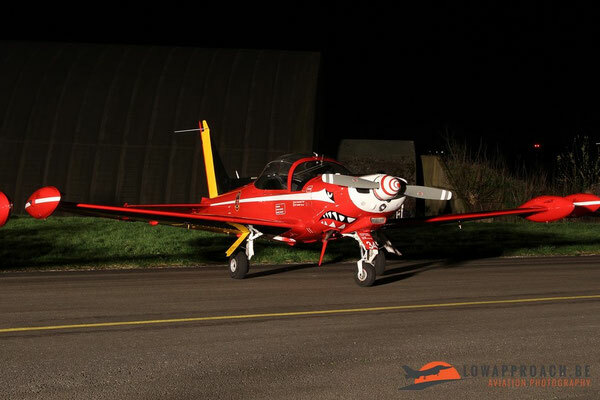 Overall it was well organized, virtually all aircraft were lit with floodlights to give a nice lighting effect and the amount of attendees was not really a very large problem something that some had feared. 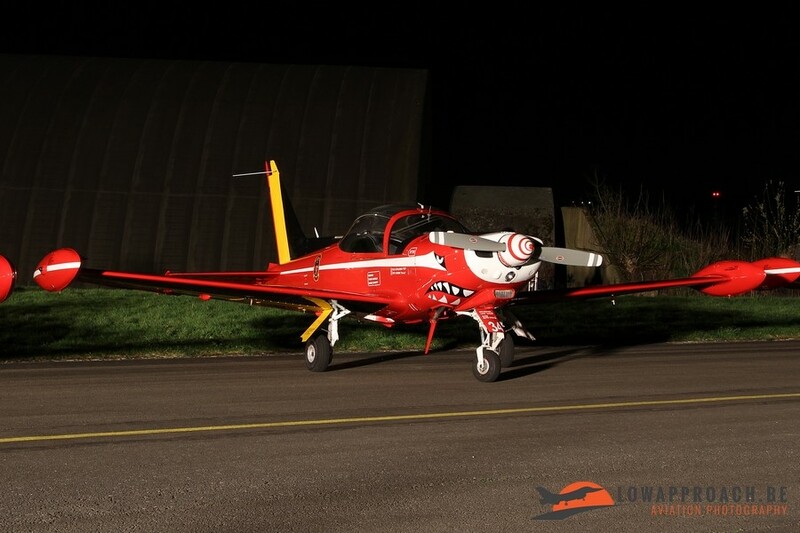 But as with all new events there were a few points for possible improvement. 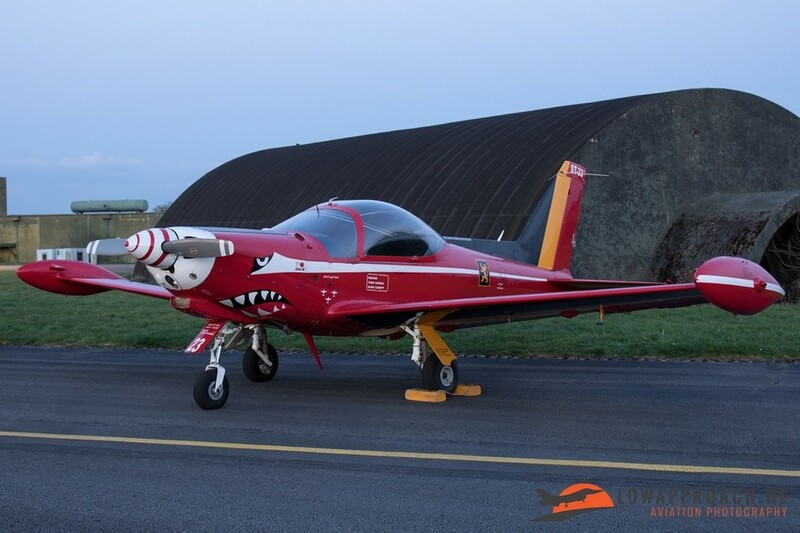 Due to the strict measures, which is understandable in the current climate, it took quite some time to allow entry of all pre-registered spotters. In addition the positioning of certain aircraft could be improved, as for some of them it was quite difficult to photograph them without people in the background.